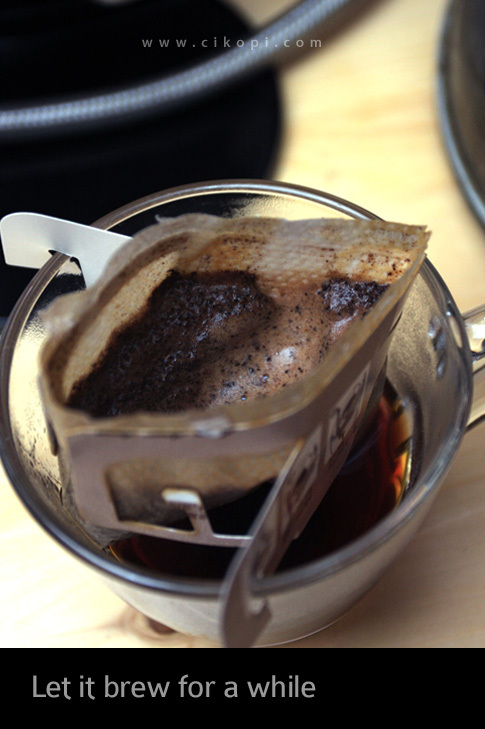 The widespread use of drip coffee in Japan is not only a reflection of their attitude toward efficiency, but more to the need of practicality. Since Bunn Corporation introduce the automatic drip coffee maker in 1963, the method become a favorite for many household in the United States. 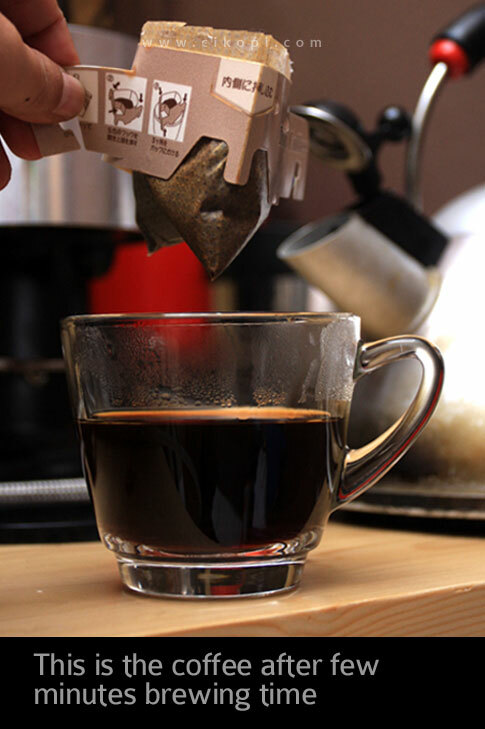 Drip coffee is simple, easy to clean, comparatively cheap, and most of all, people still be able to enjoy a good cup of coffee and remain a preferred method not only in the US, but in many countries as well including Japan. 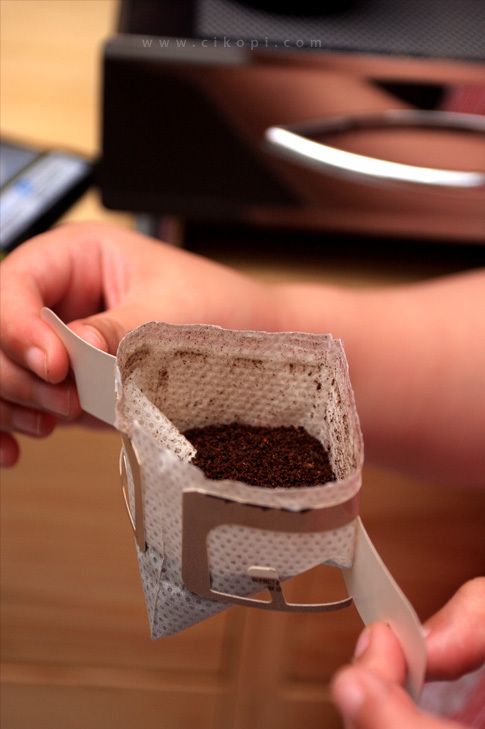 However, in addition to automatic coffee machine, drip coffee bag for single serving is one of the favorite brewing method especially among young people who live single. 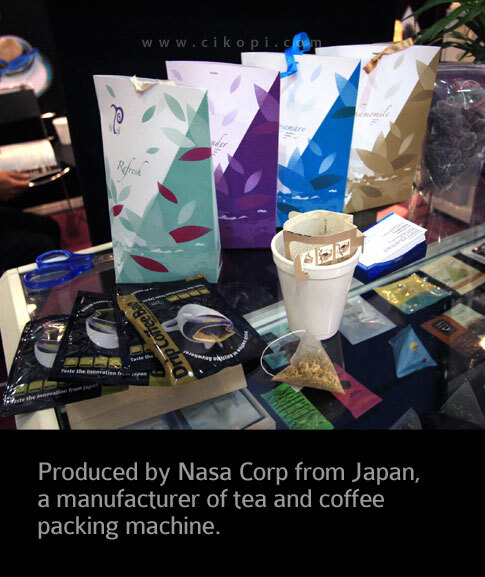 According to Yorisato Iwata, coffee specialty member in Japan. “The number of unmarried people or late marriage is increasing in Japan. Two-generation family as well. 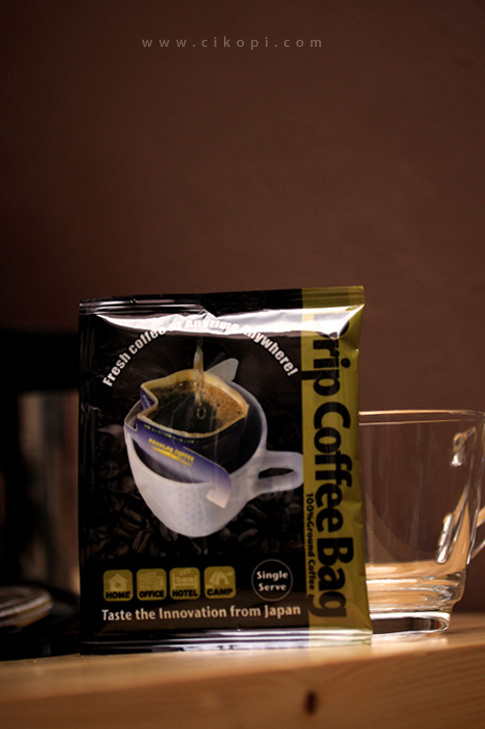 So I think “Drip Bag” is getting more popular recently. Iwata pointed out population stagflation in Japan as growing number of people are remain single or childless, the similar problem among many countries in Western Europe and Asia (Hong Kong, Singapore). 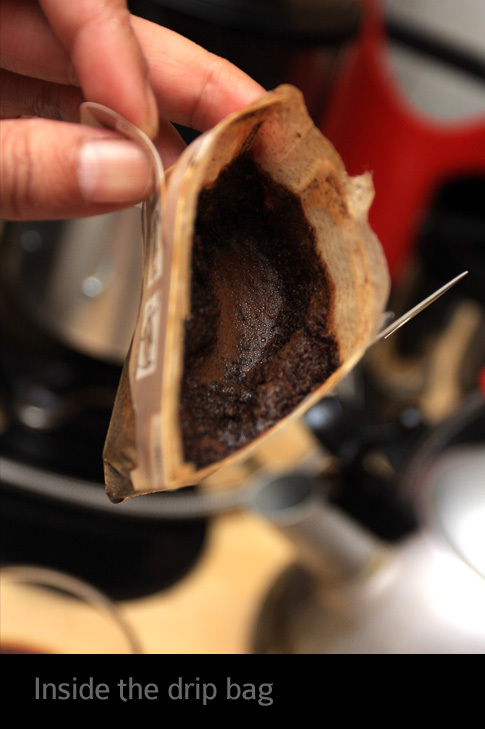 I though Mr. Iwata delivered a valid reason why drip coffee bag, and canned coffee is a favorite beverage to start a new day, instead of complex preparation such as with espresso machine and other coffee tools. 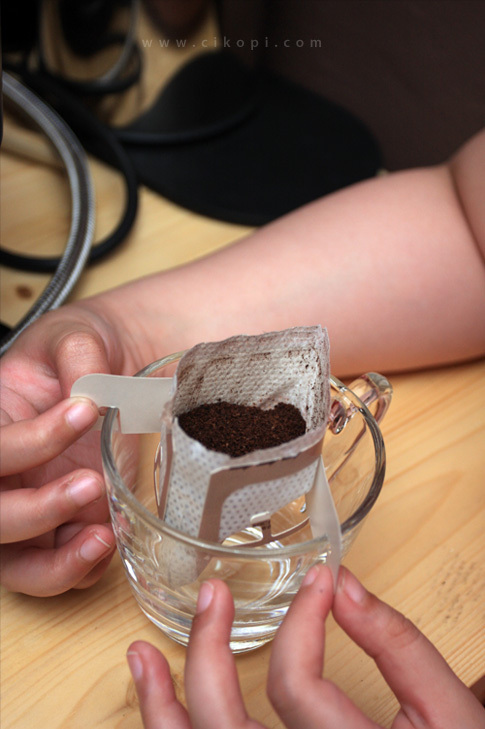 I tried this coffee drip at my home and found the method is quite appealing and acceptable flavor and aroma, although the body is not too bold. Started with boiling the water, pouring according to our pace, steeping, and the coffee is now ready with less than 10 minutes preparation time. 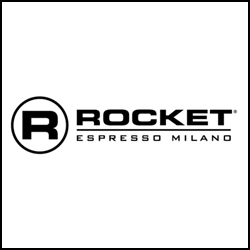 Simple, clean, good cup of coffee and of course speed … Japanese way. Coba dech Q Bags dari Pt. Quintinos Djava. 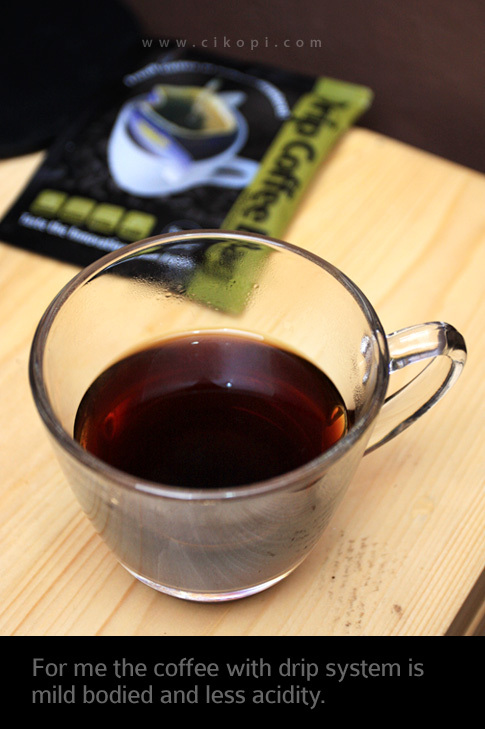 Sumatran mellow is a soft full- bodied coffee with a clean aftertaste, lively acidity and slighty spicy background. 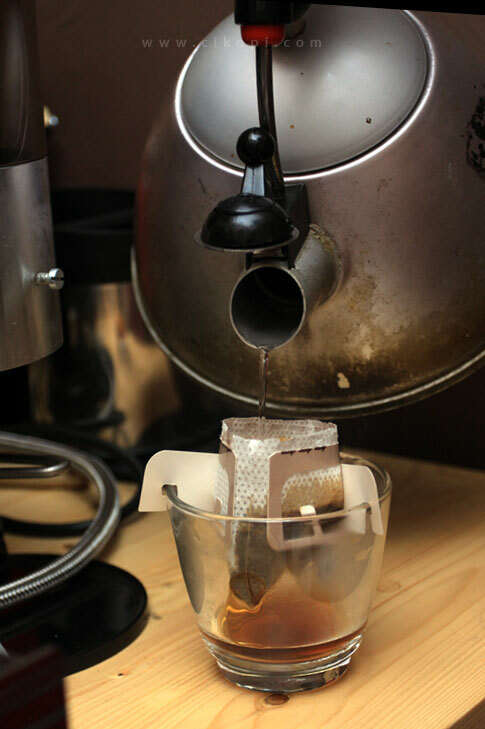 Oh my, I just realised that this is others methode to drip coffee. Some times ago my friend brought me coffee luwak from medan that exactly just like this. If only they have something like this in Indonesia! 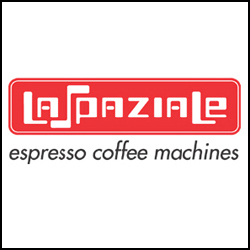 Ton, can you make a post on instant coffee review, so we coffee-lover newbies know which one we should buy when we don’t have access to coffee machines esp. at work?